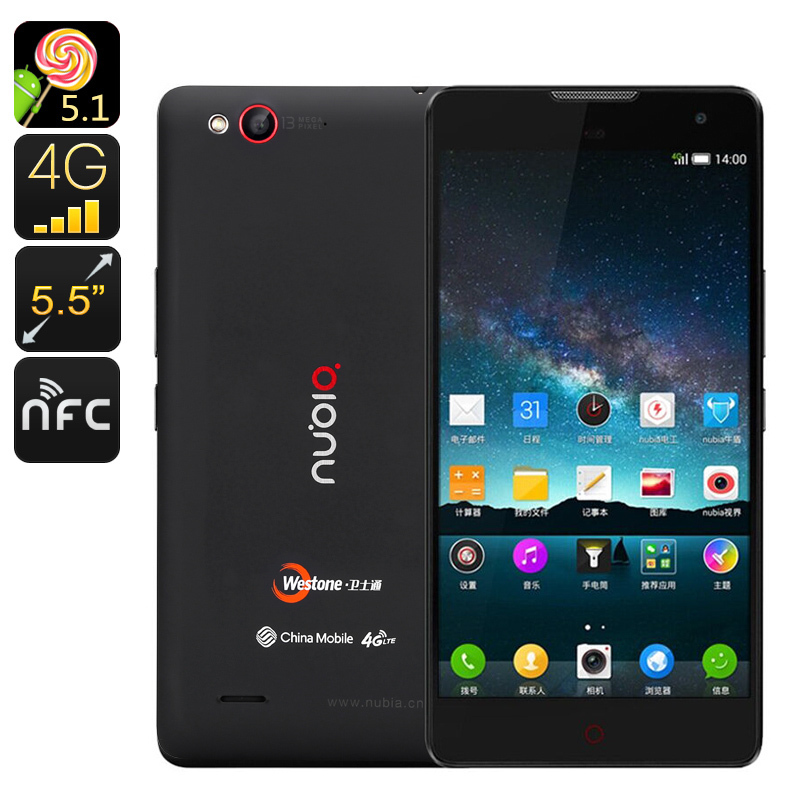 Successfully Added ZTE Nubia Z7 MAX Smartphone - 5.5 Inch Phablet, 1080P, Quad-Core CPU, 2GB RAM, 3100mAh Battery, NFC, 13MP Camera to your Shopping Cart. The ZTE Nubia Z7 MAX holds a 5.5 inch FHD display that is capable of portraying all your movies, games, and pictures in their fullest glory on a large Phablet sized screen. With its quad-core processor clocked at 2.5GHz, 2GB of RAM, and adreno-330 GPU this Chinese smartphone offers a platform to smoothly watch full HD movies in 1080P and enjoy action packed games without dropping any frames. Guaranteed to deliver a speedy performance the Nubia Z7 MAX additionally comes with 32GB of internal storage to save all your files and games or to stack up on your favorite movies before heading off on your next holiday. Featuring a whopping 3100mAh battery that offers a mind blowing 12 hours of continuous usage time the Nubia Z7 MAX takes away your worries of ever running out of power again. Watch multiple HD movies in a row, play games for hours, or browse the web endlessly – with the juice this battery packs the entertainment that this smartphone has to offer is endless. With Google Play installed in each of the devices you now have access to millions of the latest Apps, games, movies, and more – with the Nubia Z7 MAX there is no valid reason to ever be bored again. Exchange data wirelessly between two compatible phones or other devices. With the NFC feature of the Nubia Z7 MAX your wireless data transfer possibilities will be endless. Use your smartphone’s music library and play all your favorite tracks from a NFC compatible speaker, make payments in the shop by using your smartphone, or send files to friends. All of this can now be performed wirelessly thanks to the latest NFC technology. The Nubia Z7 MAX smartphone comes with a 12 months warranty, brought to you by the leader in electronic devices as well as wholesale Android Phones..